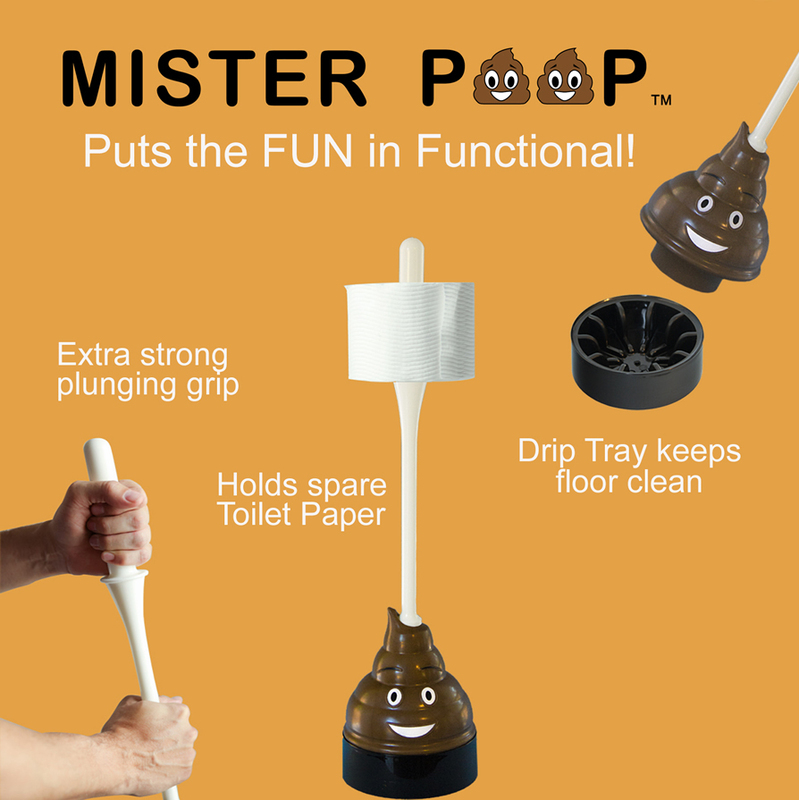 Mister Poop™ Plunger is not a novelty. 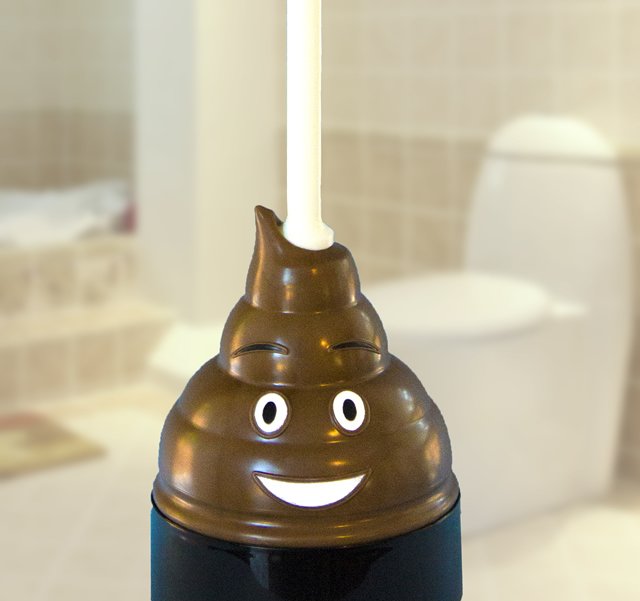 It’s a fully functional plunger that really works, and is also cute, funny, and easy to fall in love with. Put me in the guest bathroom to make your friends laugh and get jealous. I make a great gift for weddings, housewarming, graduation, or any occasion. 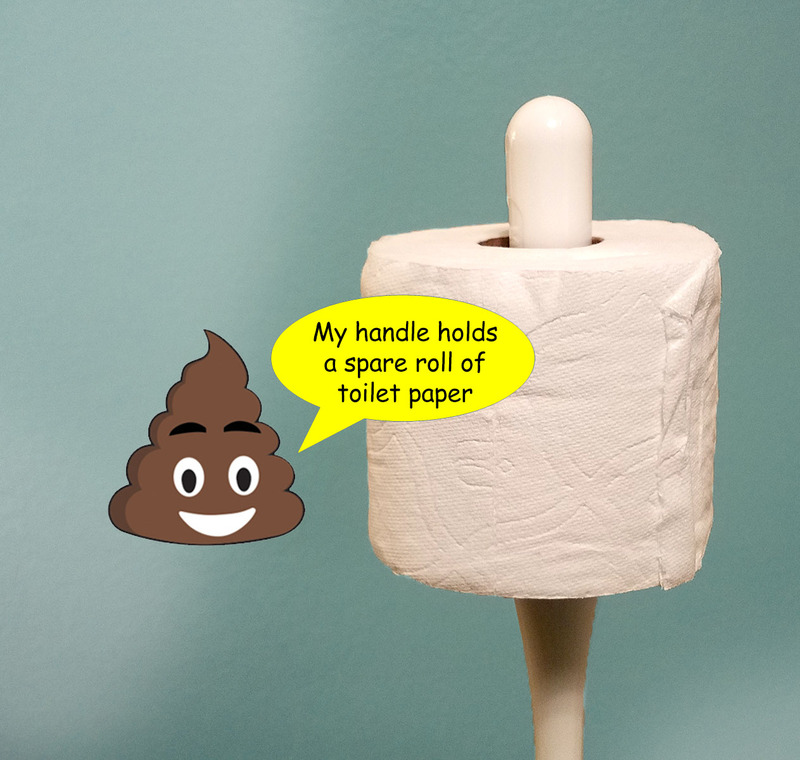 My unique handle is designed to hold a spare roll of toilet paper. My Drip Tray keeps your floor clean. I’m antimicrobial to fight germs. I glow in the dark, because…well because I’m not only functional, I’m also FUN!